The 2017 PEN Center USA Literary Awards Festival hosted by the hilarious Nick Offerman recently took place in Los Angeles. Margaret Atwood was presented with the Franz Kafka International Prize of 2017. On October 17 at the Old Town Hall in Prague, Atwood received the award, although she was chosen by the international jury in May. See this press release for more information and for a list of past recipients. 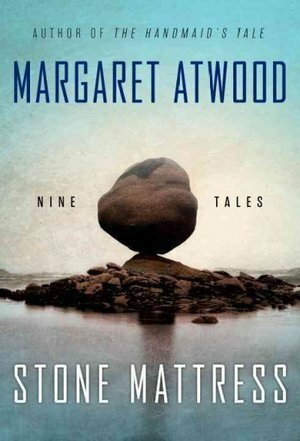 Atwood’s interview with Ian Willoughby for Radio Prague can be found here. At the 2017 Frankfurt Book Fair, Margaret Atwood was presented with the Peace Prize of the German Book Trade for her body of work. “Recognized for her bleak worldview that captures contemporary issues with poignancy,” the accompanying link explains, she “spoke at the Paulskirche about the importance of writing in a historically significant age.” The event was also written about here. The buzz is growing over Alias Grace, and we can’t wait. The miniseries adapts Atwood’s book about Grace Marks, a Canadian maid who is accused and convicted of murdering her employers in 1843. See the official trailer on Entertainment Weekly. Margaret Atwood has won the PEN Pinter Free-Speech prize for her work championing environmental causes.The award was established in 2009 in honor of Harold Pinter. See this article in Wall Street Journal about the Library Lions gala event.